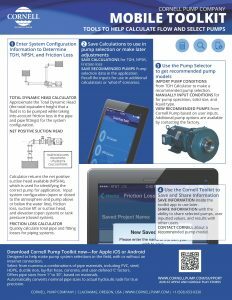 Suggest pumps from Cornell’s robust and efficient catalog to meet your system needs. 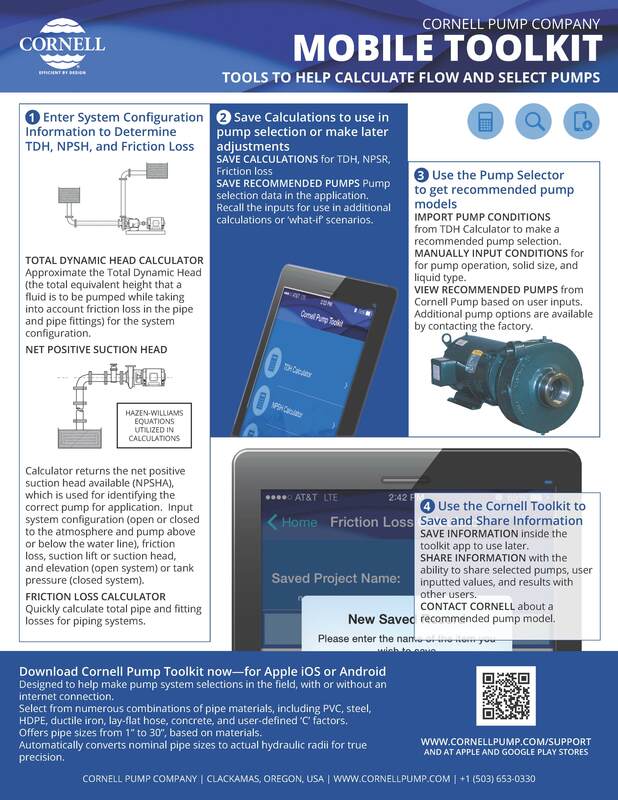 Cornell Mobile Tool Kit is a free app for Android or Apple iOS. It’s usable on tablets and phones, without the need to be connected to the internet. Conduct calculations and checks in the field. Useful for project managers, engineers, operators, mechanics, and distributors in agricultural, industrial, municipal, mining, and rental applications.